I just read this morning that there are the same number of people on Facebook today as there were people in the whole world in 1959. This means there are big opportunities if you use social media well. However, so many people aren’t getting the results they would like on social media, and wasting hours and hours every week scrolling. Endlessly. Scrolling won’t get you noticed by your prospects. Share useful information with your prospects. What do your prospects need to know, that will have them consume your content and follow you? What unique methodologies do you teach, that will help them understand more about how you can possibly help them with a solution to their problem? If people don’t know what you do, or the kinds of people you work with, they won’t buy from you. Period. Add value in discussions and groups. Do your research and find groups where your ideal prospects are hanging out. Join in discussions and add value to the conversation, but it’s important to note that adding value does not mean that you’re directly putting out a link for someone to join your program. Some Facebook groups utilize daily hashtags, and this is a great way to seed your expertise with interesting and valuable content. It doesn’t matter which social media platform you are on, you should always respond to every comment. If someone has taken the time to leave you a comment or ask a question, value their time and respond. Imagine if you were at a party and someone spoke to you – would you answer them or would you ignore them? It’s called social media, not ME media for a reason. Embrace and share your unique-ness. You don’t want to be posting about business all the time. People do business with people they know, like and trust, so share who you really are? Do you like cats or dogs? Do you like morning runs or sunset yoga sessions? Do you prefer summer or winter? How can you infuse your personality and values into interesting conversation openers? People want to see who you truly are, and video is a great way for people to connect with you. According to Wordstream, one third of online activity is spent watching video, and marketers who use video grow their revenue 49% faster than non-video users. These statistics are staggering, and show how much people want video. The only next question is are you going to embrace video, or allow your competitors have the advantage? Share the content of others, which will add value to your target market. This not only means you have access to a larger pool of people seeing your content, are offering more value to your audience than you can personally offer, but who doesn’t love having their content shared? This is a great way to have people notice you, and above all it’s a nice thing to do! Think about your social media platforms as a way to connect, and think about how you’d do that in an in-person scenario. Do you want people to feel like they’re in an awkward meeting room where no one is speaking and just sitting around scrolling on their phones? Or do you want your social accounts to be a place where people congregate, have fun and full of interesting conversations? Asking questions is a great way to open conversations, but don’t make the questions so deep that people don’t want to answer them. People don’t want to be super vulnerable and have the eyes of Facebook judging them, and they won’t step into conversations that make them feel afraid to have a chat. If you wouldn’t ask the question in person in a group situation because it’s a little weird, don’t ask it on social media unless you want to hear crickets. 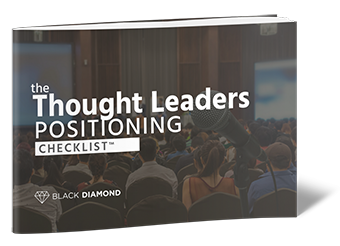 If you don’t post regularly, your prospects aren’t sitting around wondering where you went. They’ve plain out just forgotten you exist! Post interesting content frequently, and make it your unique mix of entertaining and educational so that people want to engage. If you’re feeling like the world’s best kept secret, it’s time to stop acting like it. Get out there and share your message in a bigger way. Connect with new people. Open conversations with them. Take your connection offline, and really get to know people. 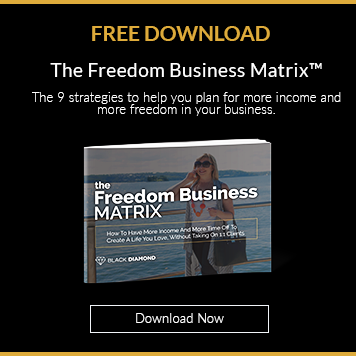 If this has inspired you to take your business to the next level in 2019 and create more income, more freedom and more impact, and you’d like to know more about how I can help you grow your freedom based coaching business in 2019, I invite you to join the wait-list for Business Success Academy. You’ll be the first to be notified when the doors open. You can join the waiting list at https://samanthariley.global/success/ or by clicking here.